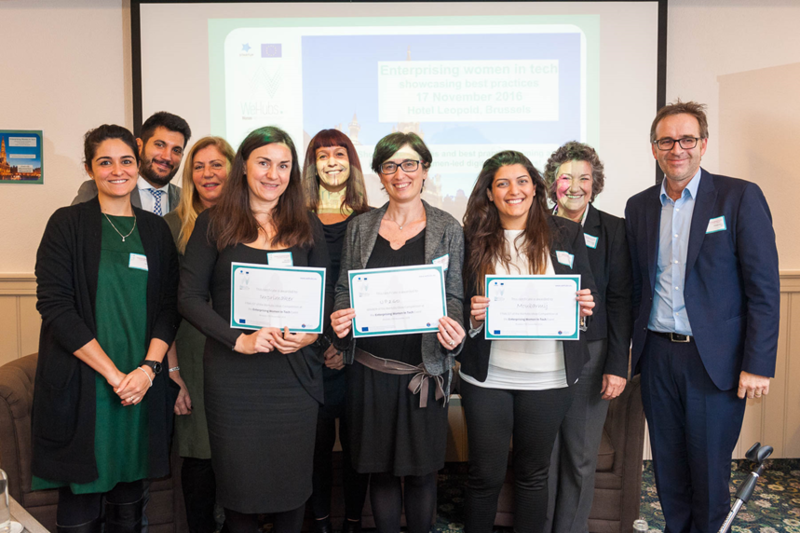 The winner of the WeHubs StartUp Europe project Ideas Competition was announced: Up2GO, Elena Salsi female entrepreneur presented this new app for smart mobility. 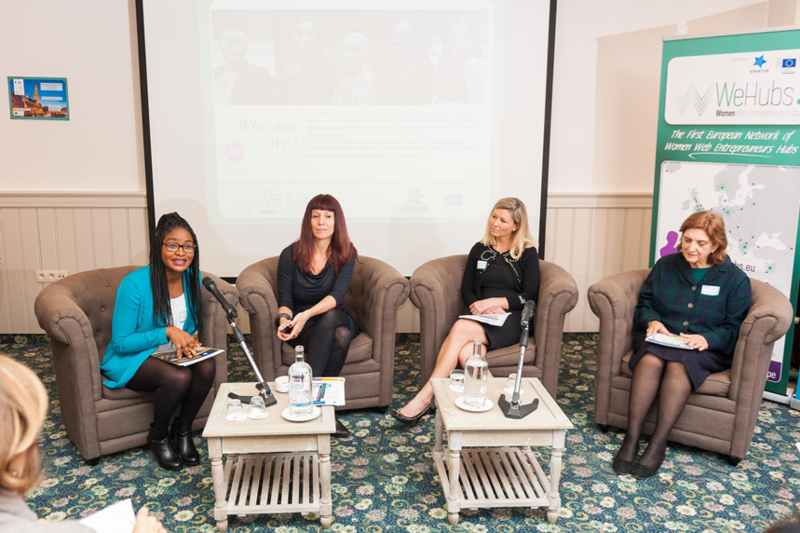 The announcement took place during the Global Entrepreneurship Week #GEW2016 and the Women Day @WEDay at the “Enterprising Women in Tech” in Brussels, 17 November 2016. The event was divided in three parts. At first, the policies recommendations and funding opportunities promoting women entrepreneurship were explained by Loreta Anaini, EC Project Officer at DG CNCT, followed then by the two Members of the European Parliament presents at the event: Mrs. Sirpa Pietikäinen (MEP, Lithuania)and Mrs. Marian Harkin (MEP, Ireland) to introduced the agenda for female entrepreneurship in Europe. 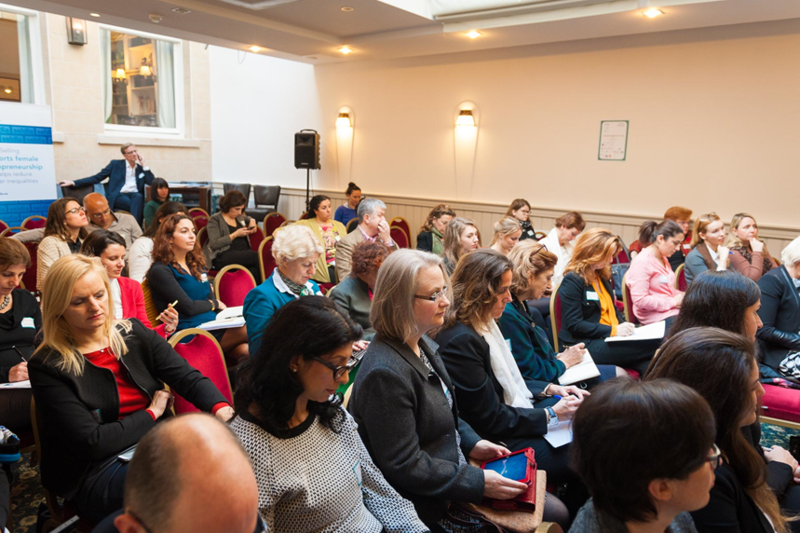 Then the WeHubs European community of women web entrepreneurs (WWEs) was presented, focused on the benefits for new organisations interested to provide support for women entrepreneurs, and the success stories during the lifetime of the project. A roundtable with exceptional speakers was organised focusing on best practices in promoting female entrepreneurship, which counted with the presence of: Khadijat Zahrah Abdukkadir - Digital African Women, Cheryl Miller - Digital Leadership Institute, Robyn Sinclair - Get Set for Growth, Charlene Lambert - Women Entrepreneurship Platform. 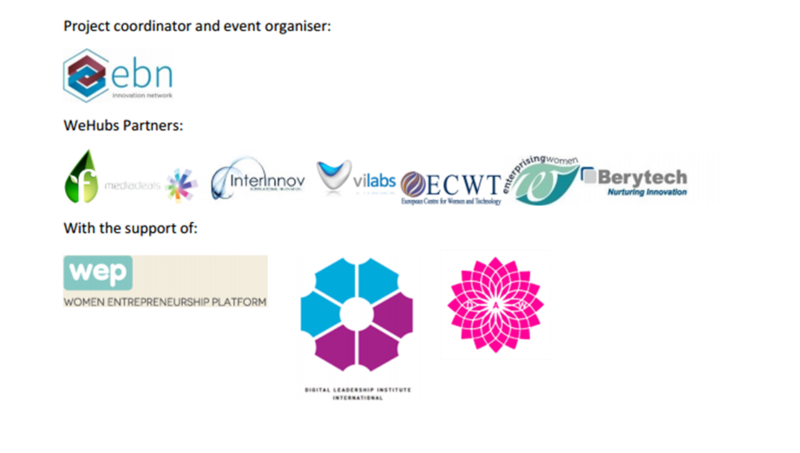 After the submission of 50 unique digital ideas, the WeHubs competition board revealed three shortlisted candidates and invited them to showcase their exceptional ideas during the “Enterprising Women in Tech” event. The three finalists: Imprimaker, Moubarmij and Up2GO had the chance to pitch in front of the public and the jury, who selected the mobility app Up2GO as the winner of the WeHubs Ideas Competition. 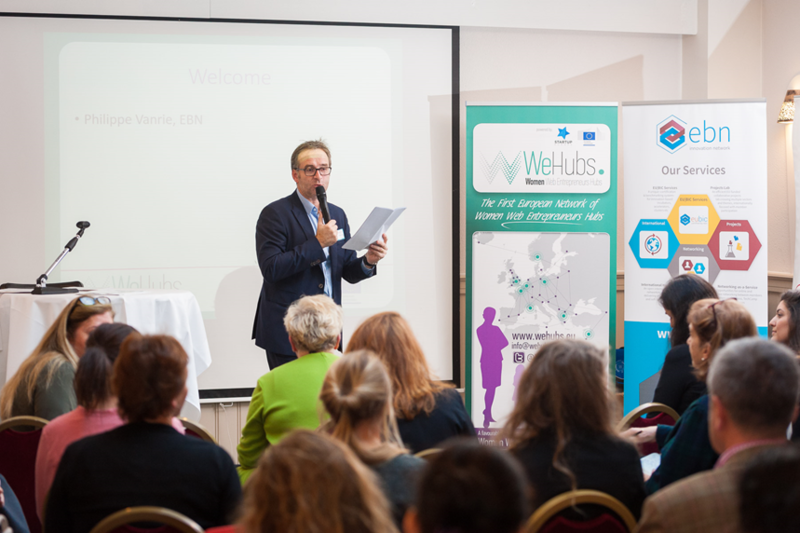 WeHubs project came to an end, but the work of the existing network has just started. There is a website where Hubs of female entrepreneurship support can register and continue enlarging the support of WomenInTech and Female Web. Please, take a moment to fill in the evaluation survey for your experience at “Enterprising Women in Tech”. Help us, become better. Click here.